As I sat to write this post, I just became lost for words. I have so many things to say about this project that I don't even know how to begin! 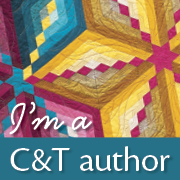 I'll begin by saying that this project began at the International Quilt Study Museum on one hot day in July. Allie and I knew we were going to be taking a tour of the IQSM and we also knew that this was where one of our all time favorite crazy quilts lived. When we started the tour, we asked if there would be any chance that we would be able to see it. By it, I am referring to My Crazy Dream, made by Mary M. Hernandred Ricard between the years of 1877-1912. As you can see from the picture above, our dream came true and we were able to see this beauty in all it's glory! Can you see the smiles on our faces? 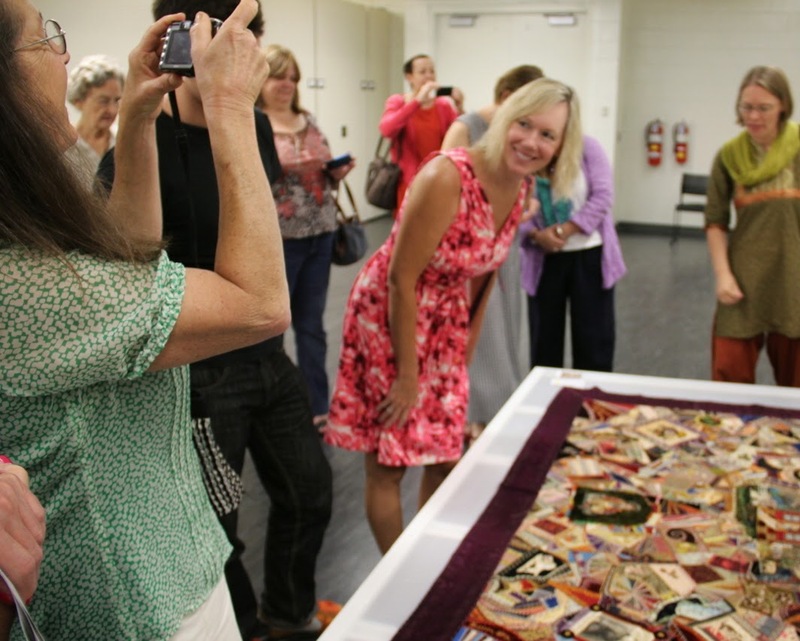 Those smiles never left our faces for the next 45 minutes as we studied and admired this glorious crazy quilt. Just in case you couldn't see how happy this quilt made us, I'll show you a closer shot. Ok, I know I am being silly but it was such a great day for both of us! The funny thing about it, I think everyone else in our group had more fun watching us because none of the rest of them were crazy quilters! They eventually moved on to other quilts as we stood there in great awe. I do have one secret to tell you about this quilt....it's not done. That's right, it's not done! 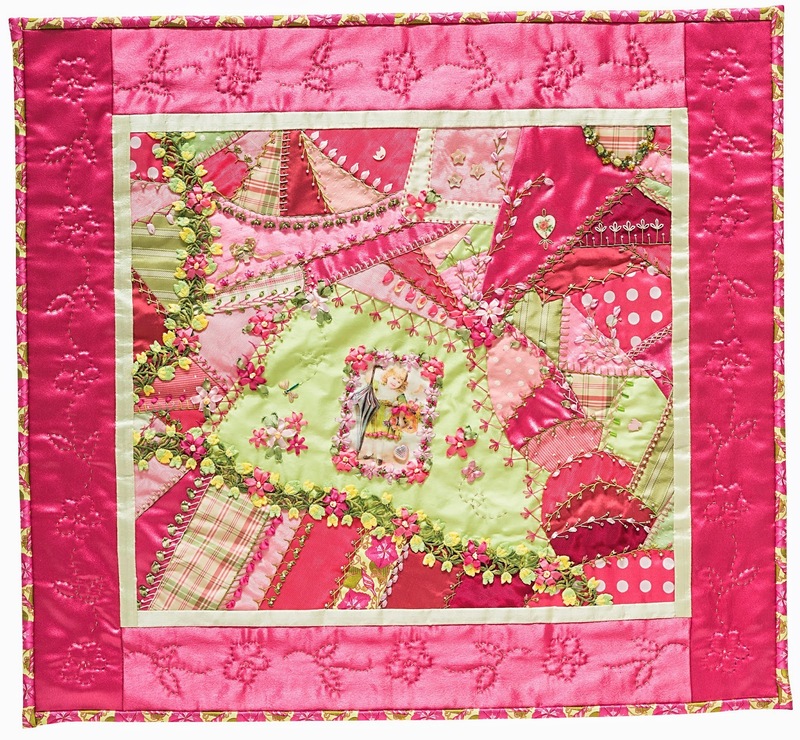 Isn't that just like a crazy quilter, to make a beautiful crazy quilt but not put the back on it! So, you may ask, what does the first photo of your project, I Dream in Pink have to do with your visit to the International Quilt Museum? Well, Allie and I decided to take a small 18'' x 20''section of My Crazy Dream and try piecing it ourselves. 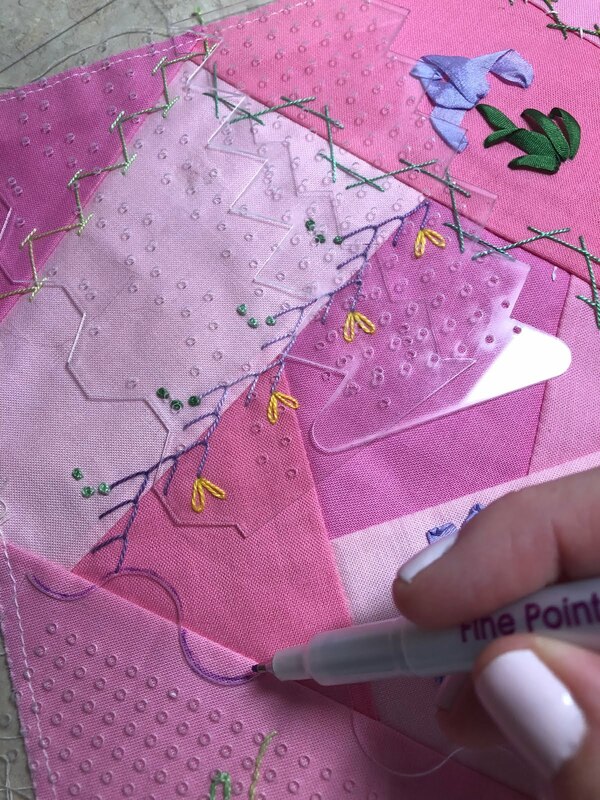 So, I Dream in Pink is an exact piecing replica(not of the stitches or fabric) of a small section of Mary Ricard's masterpiece! 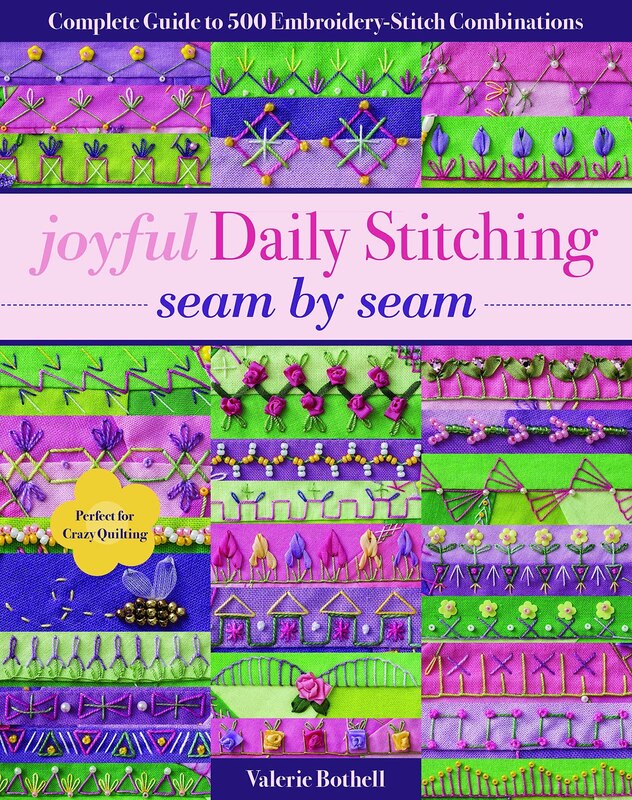 We had so much fun reproducing this section of her quilt, that it became a pattern in our book. In fact, we sacrificed 8 pages of written text, to give you a full sized 18''x 20'' pull out pattern. For two women who had a lot to say in their book, that was a sacrifice, one we happily made! 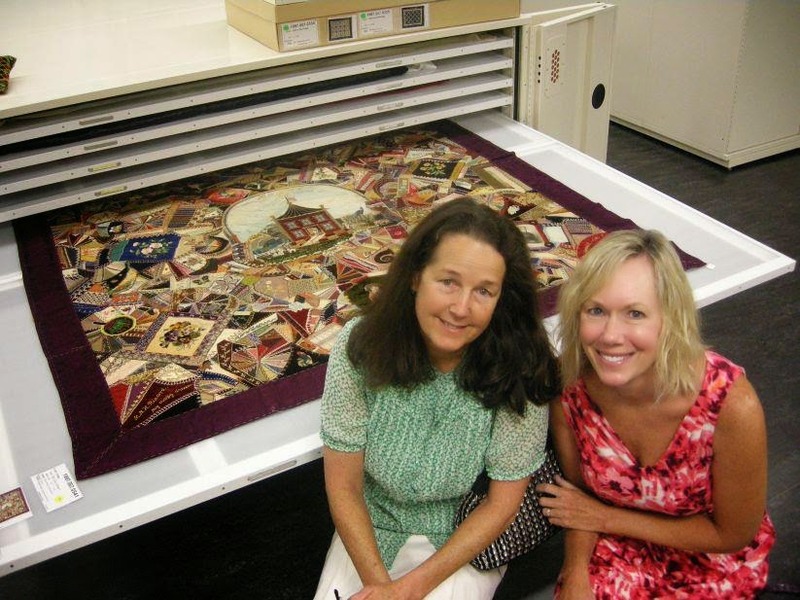 Many thanks to Marin Hanson, and the International Quilt Study Museum for helping Allie and I make our dream come true.